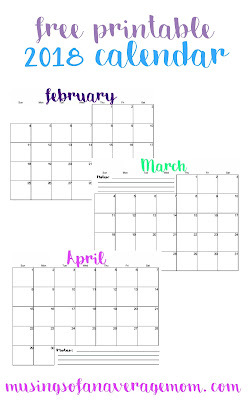 I like printing out my calendars early so I can write that 'in 6 month appointment' down as soon as I am told about it because there is no way am I going to keep track of that little card they give for more than a few days. 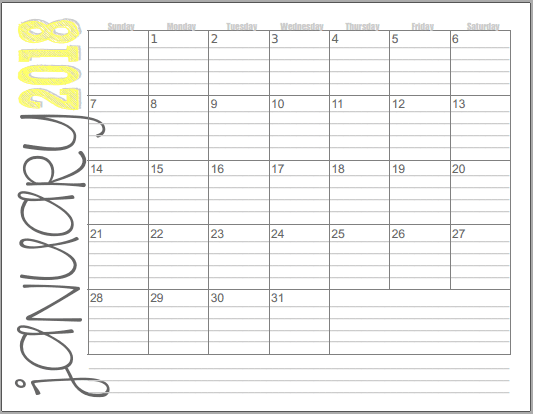 I write everything down on my calendar and use a large magnet to keep it on the fridge so I can refer to it daily. 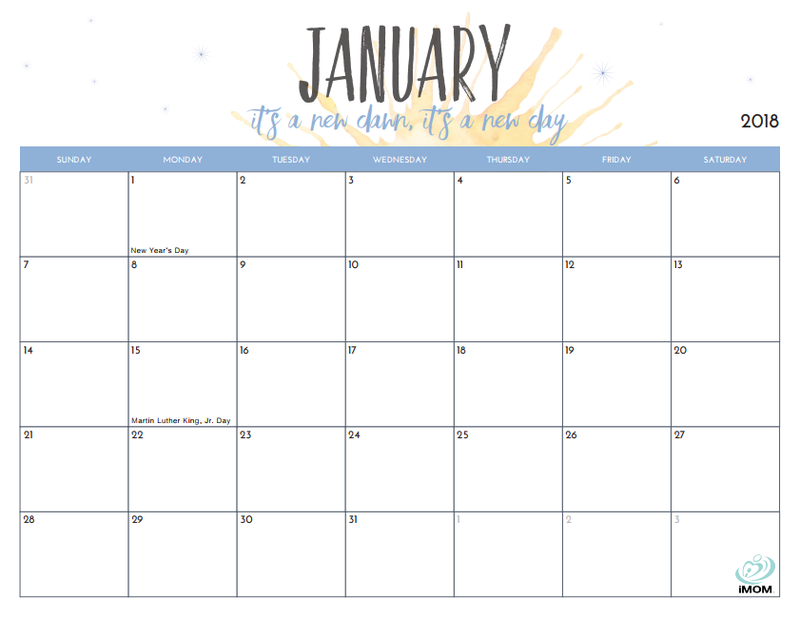 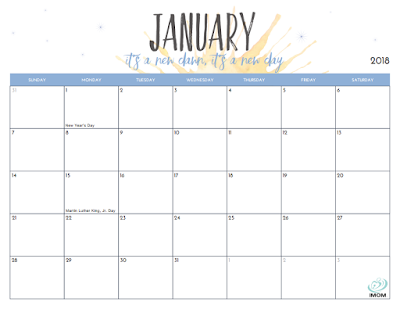 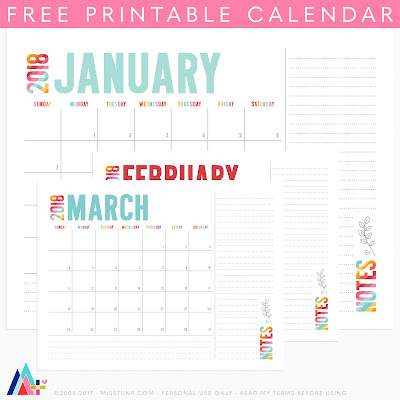 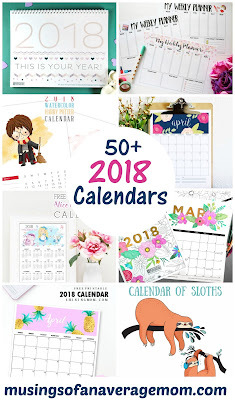 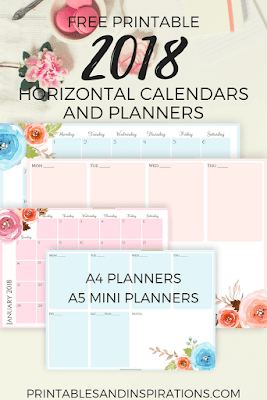 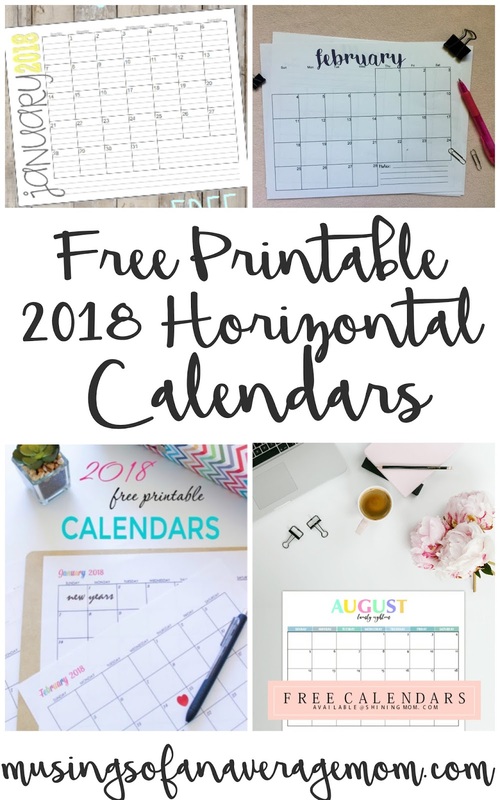 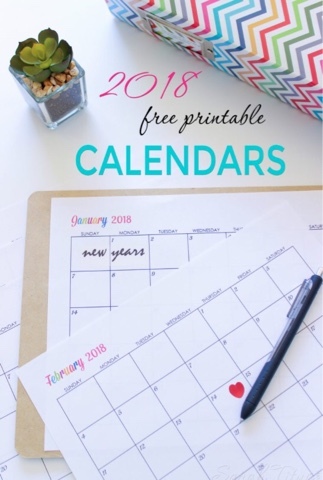 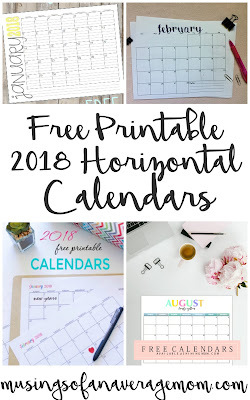 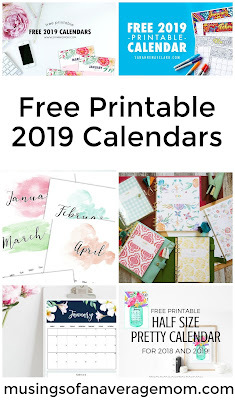 So here are the 2018 horizontal calendars I have found, and a couple I have created so you can get organized early. 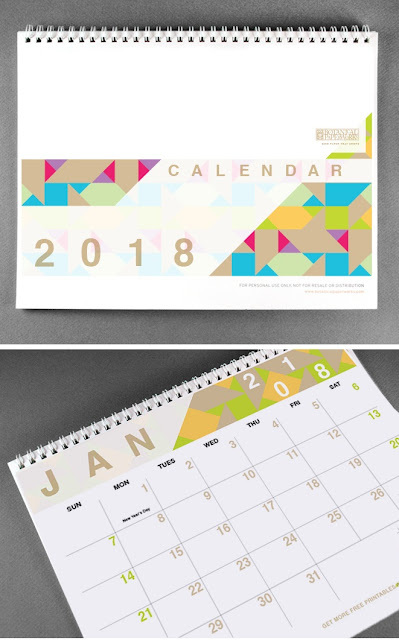 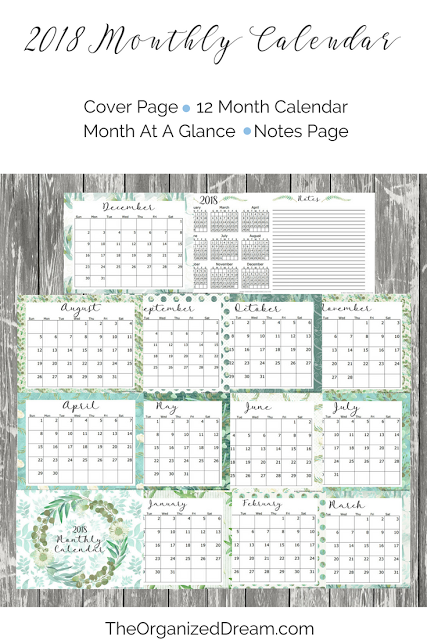 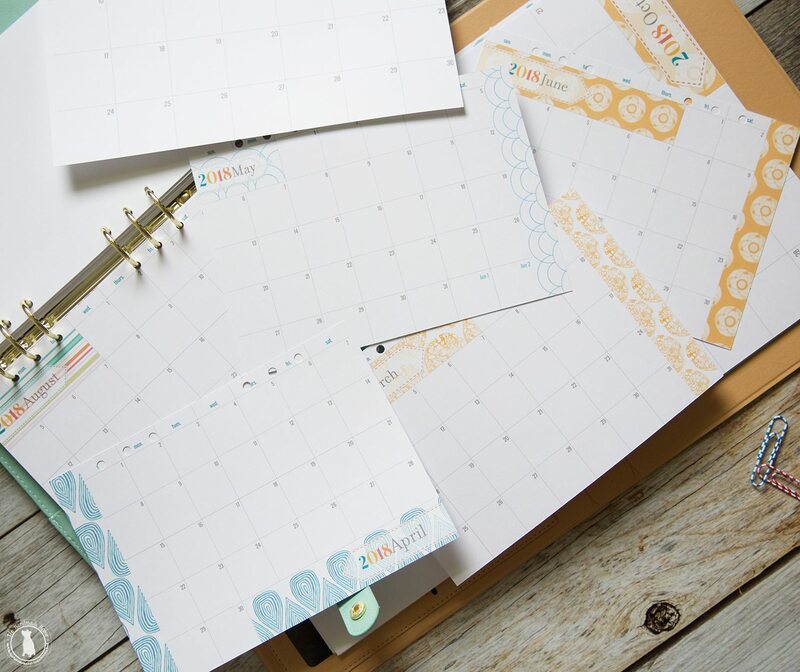 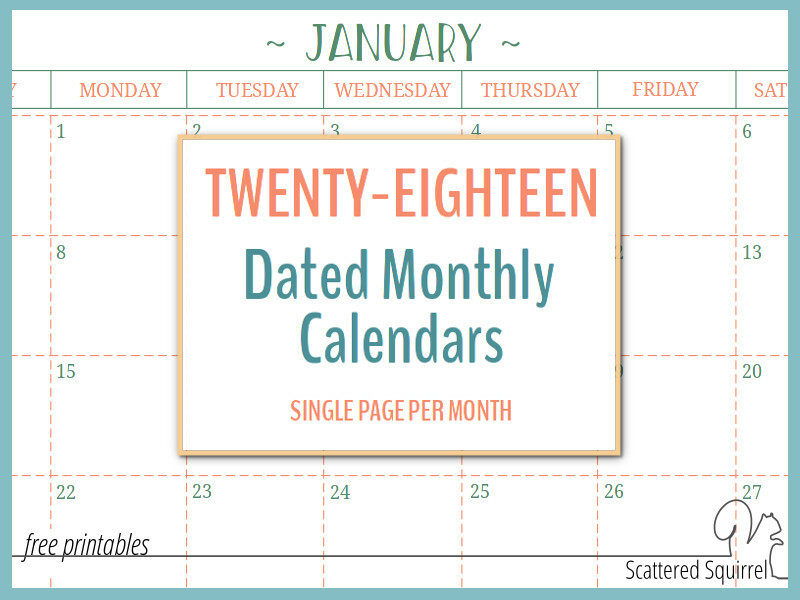 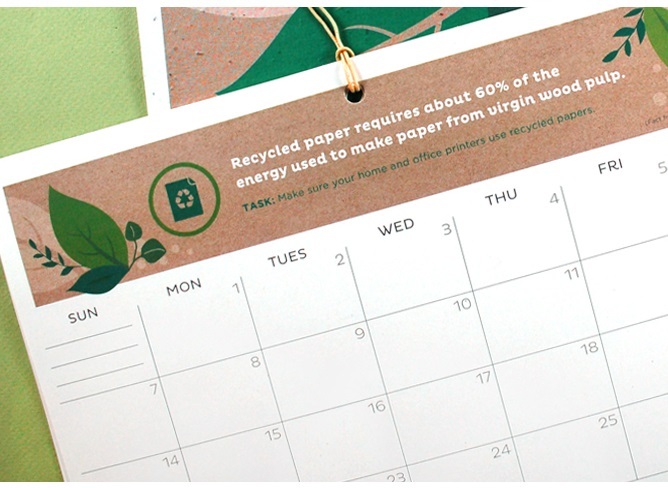 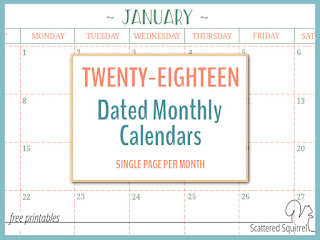 Short Stop Designs created beautiful calendars with different headers for each month. 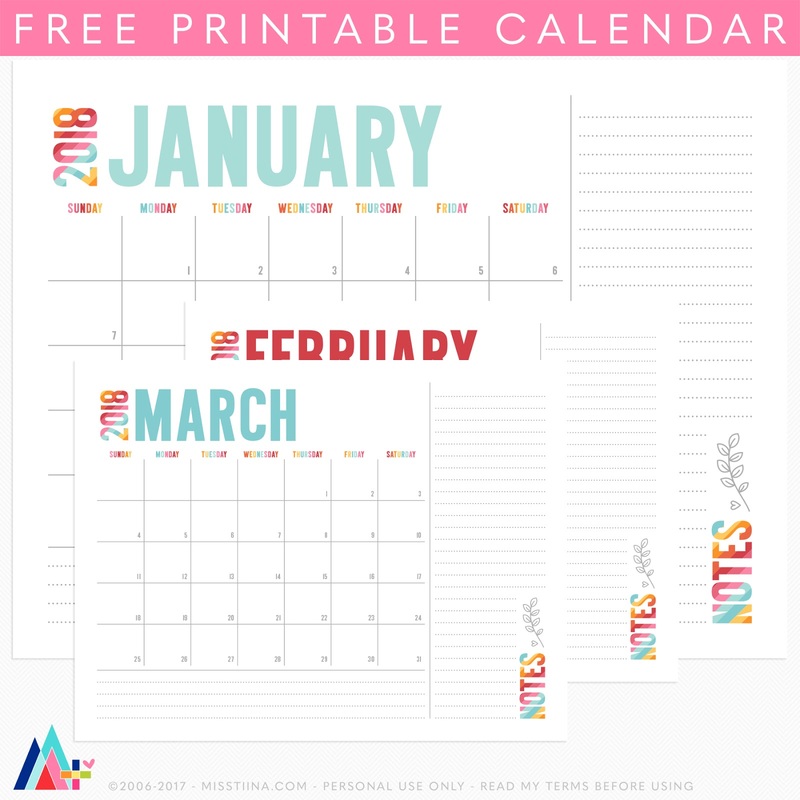 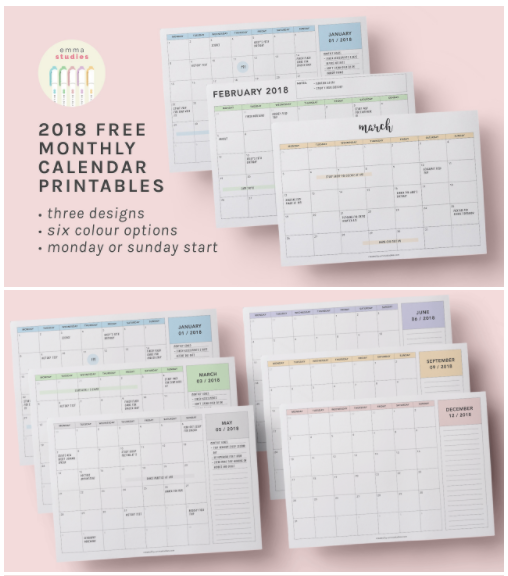 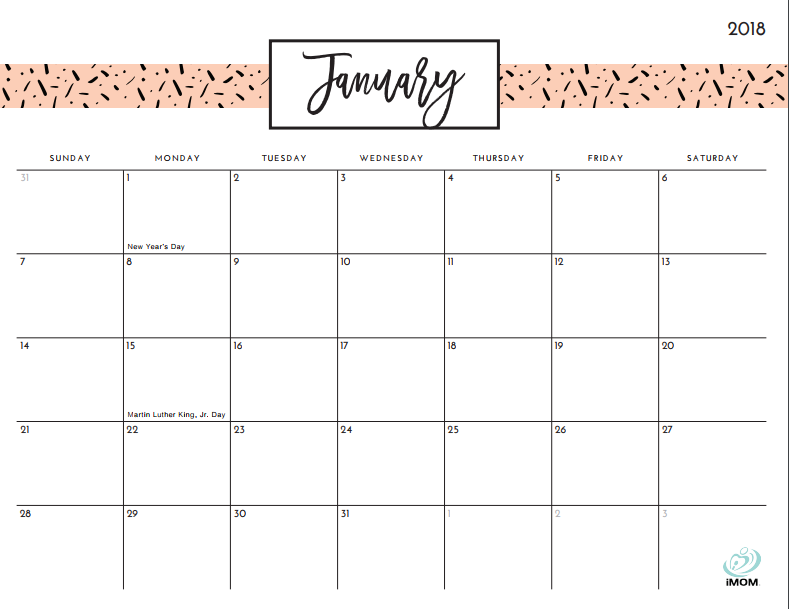 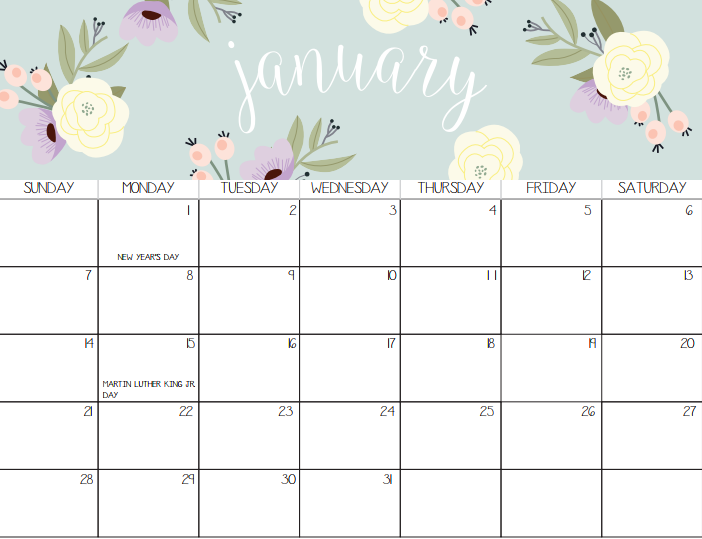 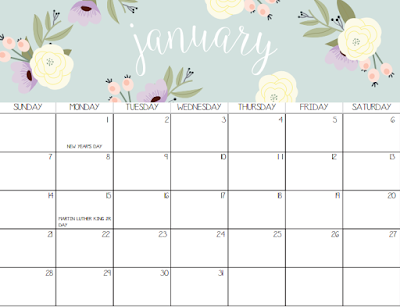 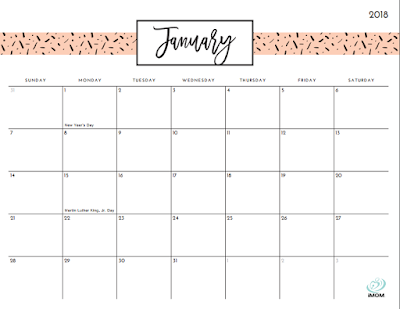 Free pink printable horizontal calendar I designed. 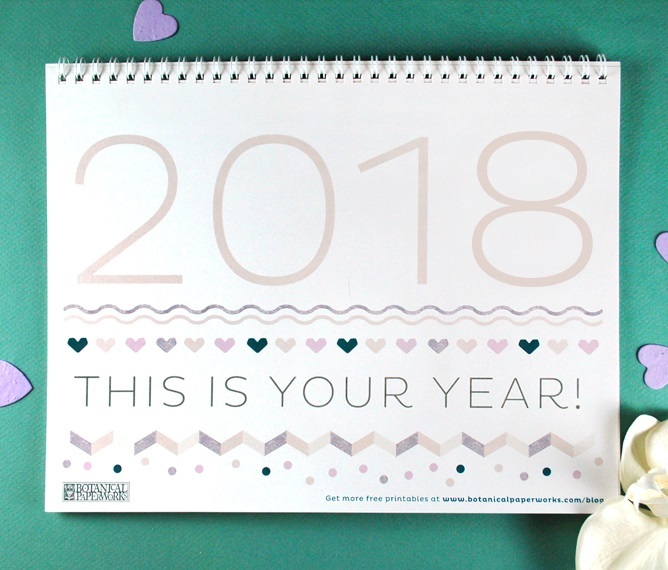 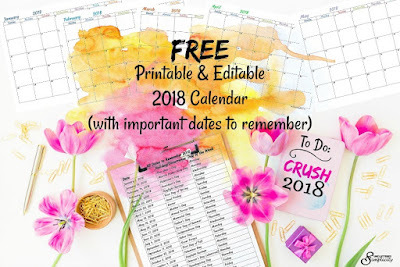 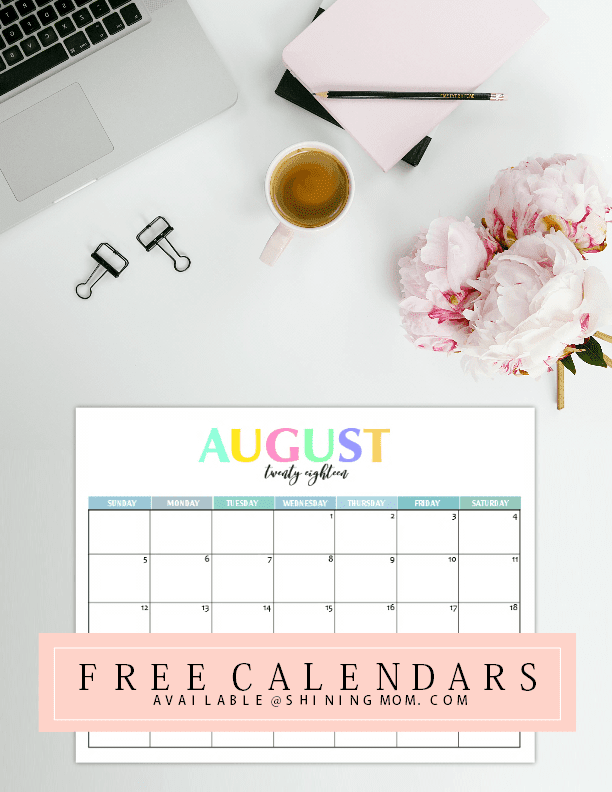 Get this printable and editable 2018 calendar from Uncluttered Simplicity with important dates to remember. 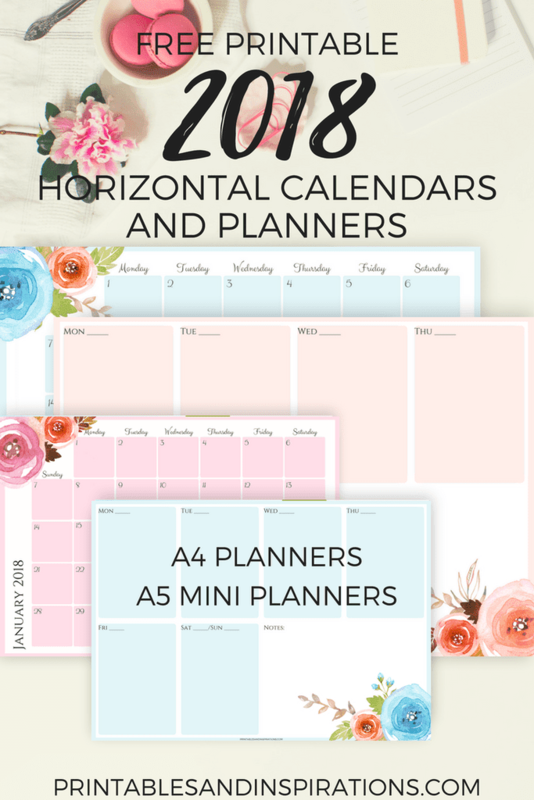 It's nice to know about horizontal calendars! It's worth the time to read this. 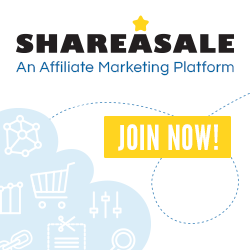 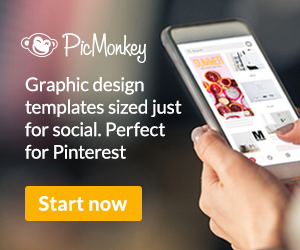 Can you have a peek at these guys? 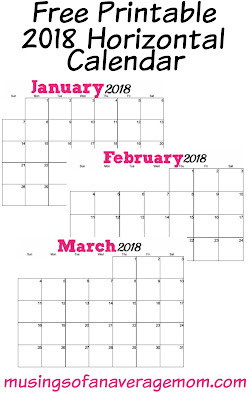 Then let me know your insights too. 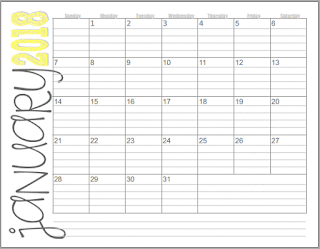 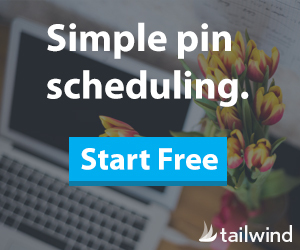 I like horizontal calendars, they are very convenient to use and have a cool look. 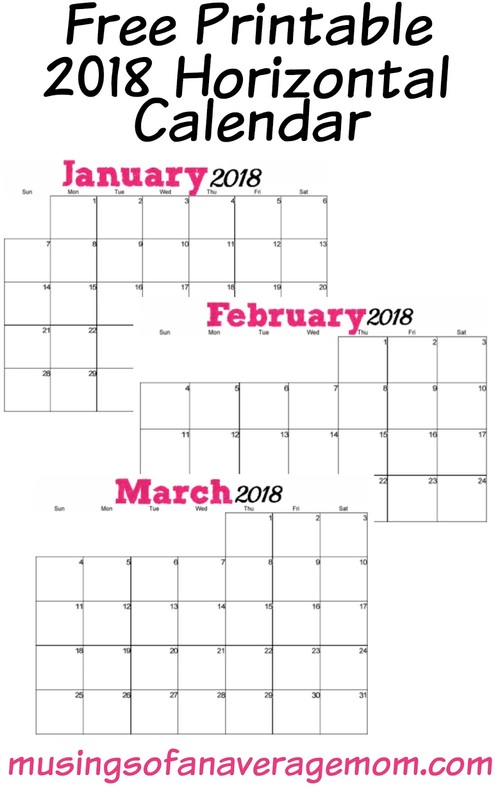 Thank you for this article. 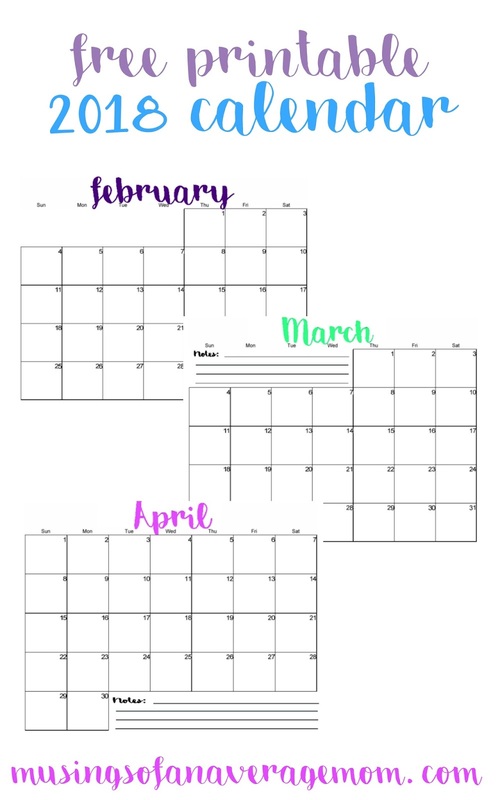 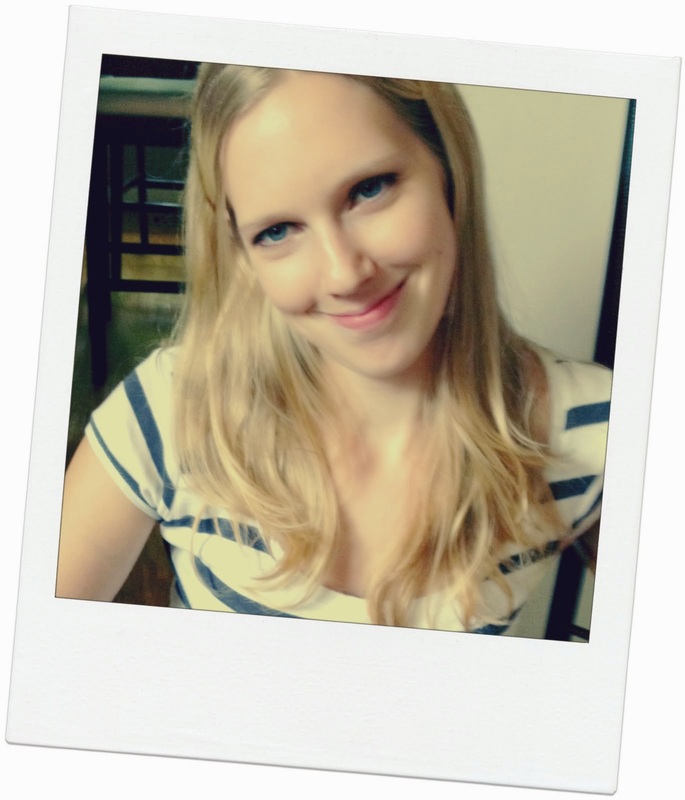 Also check my blog: www.hghtherapydoctor.us.